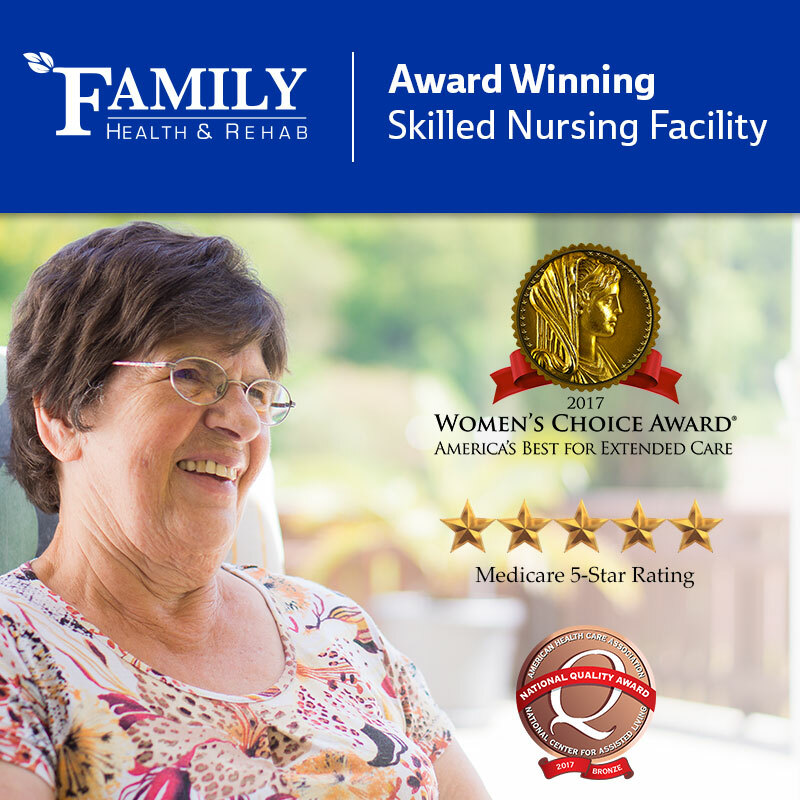 Family Health & Rehab has won the Women’s Choice Award for America’s Best for Extended Care! This is an exciting accomplishment, as this signifies us as one of the top 825 extended care facilities out of over 15,000 in the nation. Women’s Choice Award indicates that women make the majority of healthcare decisions for their families, and this organization is a trusted referral source to empower women to make smart healthcare choices. This couldn’t be more true, as we receives inquiries from female family members about their loved ones daily. Be sure to contact us by phone (316) 425-5600 or email to set up a tour to see why we’re award winning! With our dedicated therapy and direct care staff we strive to create an environment inspired by service, generosity, and communication. Family Health and Rehabilitation provides therapy services for a wide variety of injuries and disorders.